Town of county rank with about 110,000 inhabitants halfway between Budapest and Lake Balaton. One of the oldest towns and a former royal seat in Europe. In the time of the conquest of Hungary by Magyars the clan of chieftain Árpád settled here. Coronation and burial place of the kings of Hungary, place of royal assizes, diets and of the promulgation of the famous Golden Bull of Hungary. Now the former Alba Regia is an international centre of industry, a major town of education and a tourists´ centre visited by several hundreds of thousands guests. The historic inner town could be seen as an illustration of the history of past centuries. The Ruin park, on the site of the one-time basilica (1018-38), has retained the remains of the church and of the medieval town walls. The Saint Stephen cathedral of Gothic origin (1235) is on the site of the church erected above the grave of Prince Géza. The existing form of the Cathedral was built in 1778. The Gothic Saint Anna chapel is from 1470. 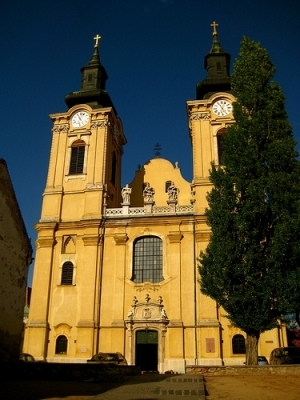 The Carmelite church (1748), the Saint John of Nepomuk church (1751), the Serbian Catholic church (1771) and the Roman Catholic church of the district Felsőváros (1840) were all built in baroque style. The Episcopal Palace (1801), the Town Hall (17th century) and the County Hall were built in Louis XVI. baroque and neoclassical style respectively. 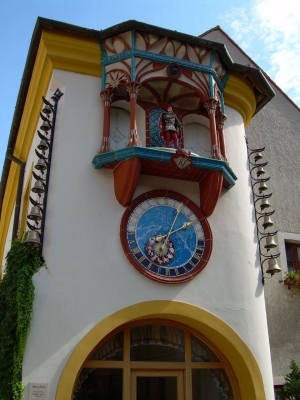 Outstanding events organized annually in the town include the Festival of Contemporary Arts (in May), the Royal Days (in August) and the Fehérvár Feasts (in September; information by telephone: 22/537-153). The richness of the baroque Székesfehérvár is indicated by the masterpieces of ecclesiastical architecture and painting and by the stately palaces. Whole blocks of houses and parts of streets have regained their original beauty in the framework of the reconstruction of the inner town. The reconstruction of Rácváros, formerly inhabited by Serbs, was appreciated to be worthy of the Europa Nostra Award. 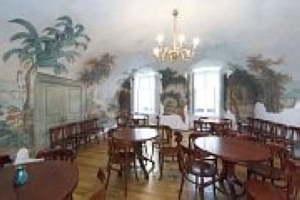 The King Saint Stephen Museum was furnished in the former Jesuit monastery. 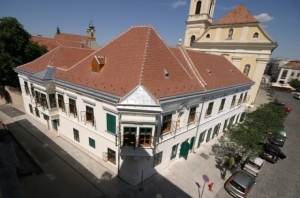 The museums and exhibition places include the Diocesan Museum, the Bory Castle Museum, Budenz House, Open-air Ethnograpical Museum of Palotaváros, the Dolls' House of Fehérvár, Erzsébet Schaár Collection, the Pelican Gallery, the István Csók Gallery, Collection of the History of Dairy Industry, Town Gallery - Deák Collection, the New Hungarian Gallery, Lajos Terkán Observatory, Black Eagle Pharmacy Museum, the Museum of Hungarian Aluminium Industry and the Museum of Firefighting. Open town gates can be seen in the medieval coat of arms of Székesfehérvár. This openness is characteristic of the town even now: visitors are welcome to the open gates and the traditional Hungarian hospitality of the town.